Lock in a great price for Holiday Inn Express Savannah I-95 North – rated 8.6 by recent guests! The beds were comfy. The breakfast area was well stocked. The kids loved making their own pancakes! The breakfast was good. We like the location, close to I-95. The beds were the most comfortable hotel beds. 24 hour coffee and hot cocoa was a nice touch. Free breakfast, excellent location near I-95, free WiFi, frig and microwave, shower pressure was strong. Big, comfortable bed and a delicious breakfast. Very nice staff! It was quiet, clean staff were nice & friendly. Overall experience with this property was great. Every Holiday Inn Express that I have stayed has always been to my satisfaction. Everything, the room was large, bed was large and comfortable, the room was very clean, the staff was wonderful and the breakfast was superior to others we have had. Easy access to Savannah and will stay here again!!!! Clean, comfortable. Good breakfast and breakfast area. Close to some take away restaurants and 95 freeway. Holiday Inn Express Savannah I-95 North This rating is a reflection of how the property compares to the industry standard when it comes to price, facilities and services available. It's based on a self-evaluation by the property. Use this rating to help choose your stay! Each warmly colored room at this Savannah Holiday Inn Express is equipped with a 32-inch LCD flat-screen TV. They are furnished with a microwave refrigerator, and coffee maker. 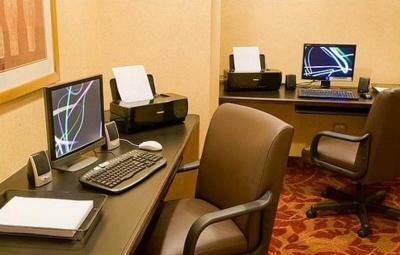 Guests can watch cable TV or browse the internet with free Wi-Fi. 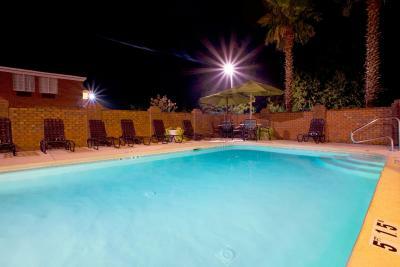 A seasonal outdoor pool is part of Savannah I-95 North Holiday Inn Express. A business center is located off the lobby and a continental breakfast with eggs, bacon, and fresh fruit is served in the mornings. Georgia Tech Savannah Campus is 3 miles from Holiday Inn Express Savannah I-95 North. The Mary Calder Golf Course is a 15-minute drive from the hotel. This property also has one of the top-rated locations in Port Wentworth! Guests are happier about it compared to other properties in the area. This property is also rated for the best value in Port Wentworth! Guests are getting more for their money when compared to other properties in this city. When would you like to stay at Holiday Inn Express Savannah I-95 North? This carpeted room features a work desk, seating area and cable TV. This accessible room features a work desk, seating area and cable TV. This room features a work desk, seating area and cable TV. This suite features a kitchenette and separate living area with sofa bed. House Rules Holiday Inn Express Savannah I-95 North takes special requests – add in the next step! Holiday Inn Express Savannah I-95 North accepts these cards and reserves the right to temporarily hold an amount prior to arrival. There was hair in the tub, dirt on the light switch plates, no bulb in one light fixture, and the bathroom vanity light fixtures only worked if you flipped the switch on and off about 10 times each time. Everything was great! Maybe a little expensive. Rooms were lovely but furniture was pretty beaten up looking. Looked like hotel was new or newly renovated but they forgot to update furniture. Not used to having to check in so late. Area of hotel, parking and breakfast. Eggs not replenished on timely basis. Sausage overcooked. Pancake machine became inoperative. First room we had was musty and we needed to change. The room smelled of mildew, the beds were not very comfortable, the breakfast was not very good, and the location was not very good. Front desk staff was very friendly.